Authors : Grzesiek, Aleksandra and Gajda, Janusz and Wyłoma&nacute;ska, Agnieszka and Sundar, S.
Authors : Kumar, A. and Wył oma&nacute;ska, A. and Poł ocza&nacute;ski, R. and Sundar, S.
Journal : Int. J. Adv. Eng. Sci. Appl. Math. Authors : Mahipal, J. and Sharma, S. K. and Sundar, S.
Authors : Sarkar, Tanmay and Sundar, S.
Journal : J. Nonlinear Sci. Appl. Authors : Matle, Sudhakar and Sundar, S.
Journal : Appl. Math. Model. Authors : Panchatcharam, M. and Sundar, S. and Vetrivel, V. and Klar, A. and Tiwari, S.
Authors : Panchatcharam, M. and Sundar, S. and Klar, A. Journal : Neural Parallel Sci. Comput. Journal : Int. J. Appl. Math. Authors : Gedela, Satyanarayana and Sundar, S.
Authors : Panchatcharam, M. and Sundar, S.
Authors : Guta, Lemi and Sundar, S.
Journal : Tamkang J. Math. Authors : Kaliyappan, M. and Ponnusamy, S. and Sundar, S.
Authors : Shankar, Maddu and Sundar, S.
Authors : Selvanayagam, K. and GÃ¶tz, Thomas and Sundar, S. and Vetrivel, V.
Authors : Roy, Samir and Sundar, S.
Journal : Stud. Appl. Math. Authors : Roy, Samir and Junk, Michael and Sundar, S.
Journal : J. Indian Acad. Math. Authors : Achuthan, P. and Sundar, S.
Journal : J. Math. Phys. Sci. 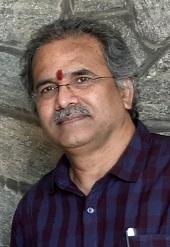 Authors : Achuthan, P. and Ponnuswamy, S. and Sundar, S.